Who Is Your Inner Sailor Scout? What Sailor Scout best fits the sort of person you are? Do you have crybaby moments from time to time? What would you do if you got a love letter? What's you favorite subject in school? What sign best fits you? What's you favorite thing to eat? What hobby best describes you? What do you have problems with? "For love and justice, the pretty Guardian in a sailor suit, Sailor Moon! In the name of the Moon, I'll punish you!" "Protected by Mercury, the planet of water, Guardian of Wisdom, Sailor Mercury! Douse yourself in water, and repent! "Protected by Jupiter, the planet of thunder, Guardian of Protection, Sailor Jupiter! I'll make you feel so much regret, it'll leave you numb!" "Protected by Venus, the planet of beauty, Guardian of Love, Sailor Venus! Allow me to punish you with the power of love!" 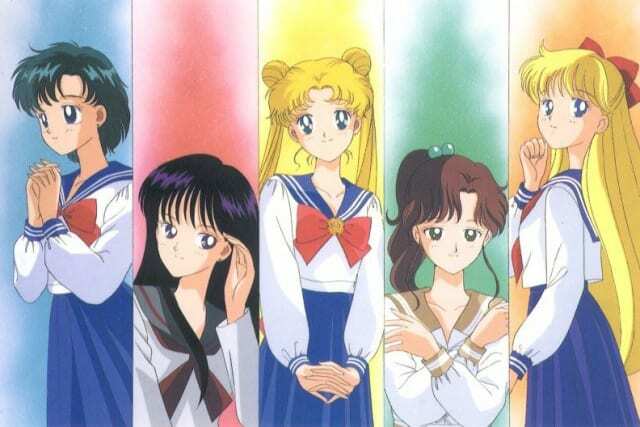 What Sailor Scout best fits the sort of person you are? Take the quiz and find out for yourself!